I recently received a hand-me-down sewing machine from the boyfriend’s mom. I’ve been thinking about purchasing a sewing machine so this was a much appreciated gift. 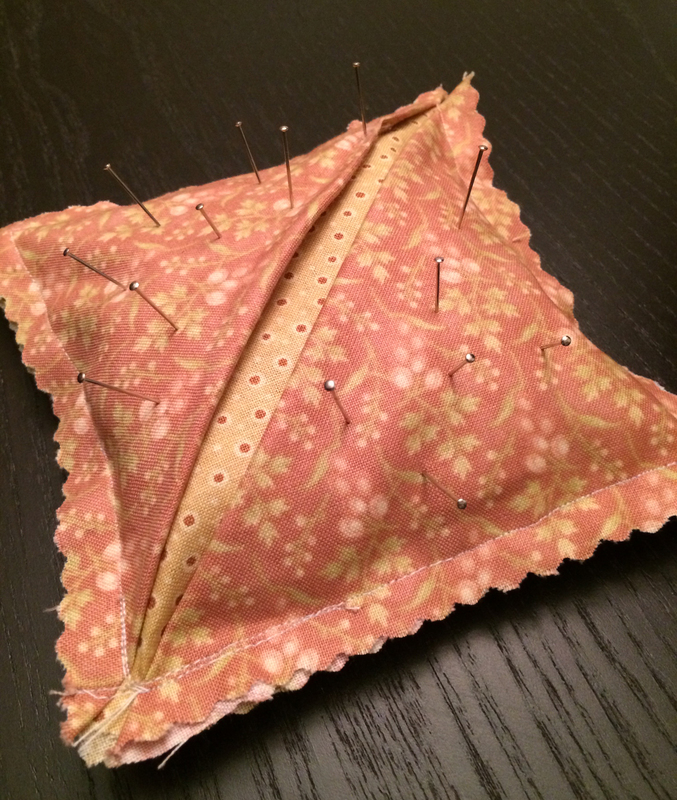 During my mom’s recent visit we tried out the machine and I attempted my first project – a pin cushion. It doesn’t sound like much, but it was a big deal for me! I think it turned out really nice. Next time I’ll have to attempt something a bit more complicated! Here are a couple of photos from my first project on the sewing machine. Posing with my project. 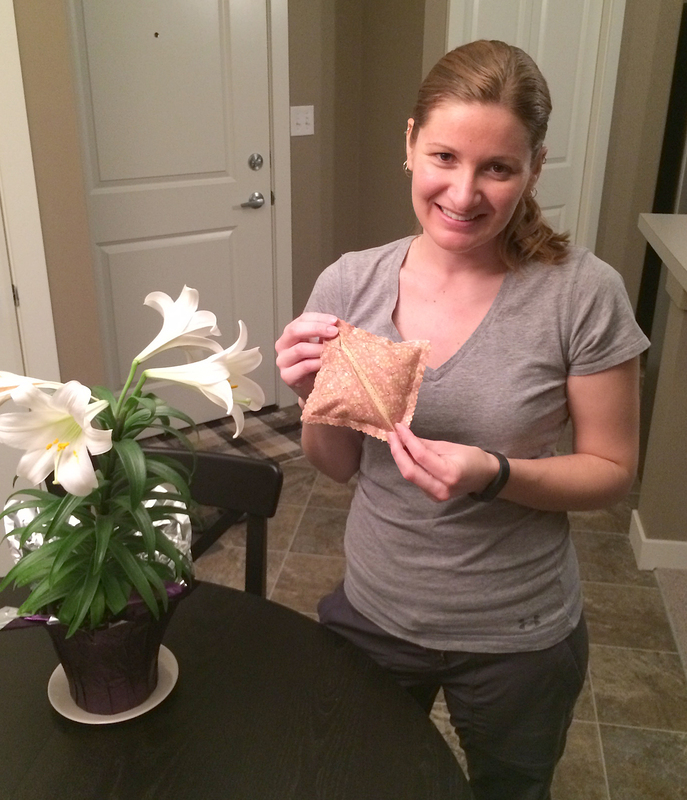 And my Easter lily! Nicely done- doors have been opened to you! Let the fabric stashing and pattern hoarding begin!